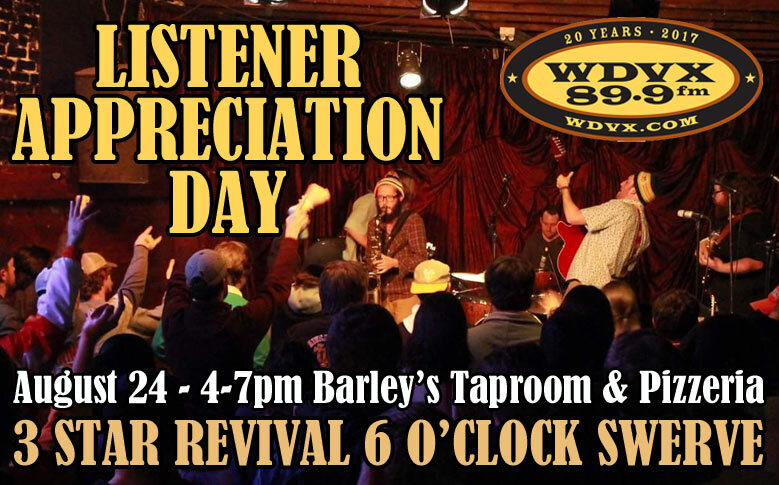 Join us for pizza, friends, door prizes & live music at our WDVX 2017 Listener Appreciation Day August 24 at Barley’s in Knoxville’s Old City. 4-7pm with live music starting at 6pm with the WDVX 6 O’clock Swerve & Three Star Revival. Don’t forget you can still make a pledge of support at https://wdvx.com/donate/.